With a background in print design, Rachel Shingleton of Pencil Shavings Studio is no stranger to mixing and matching big patterns. 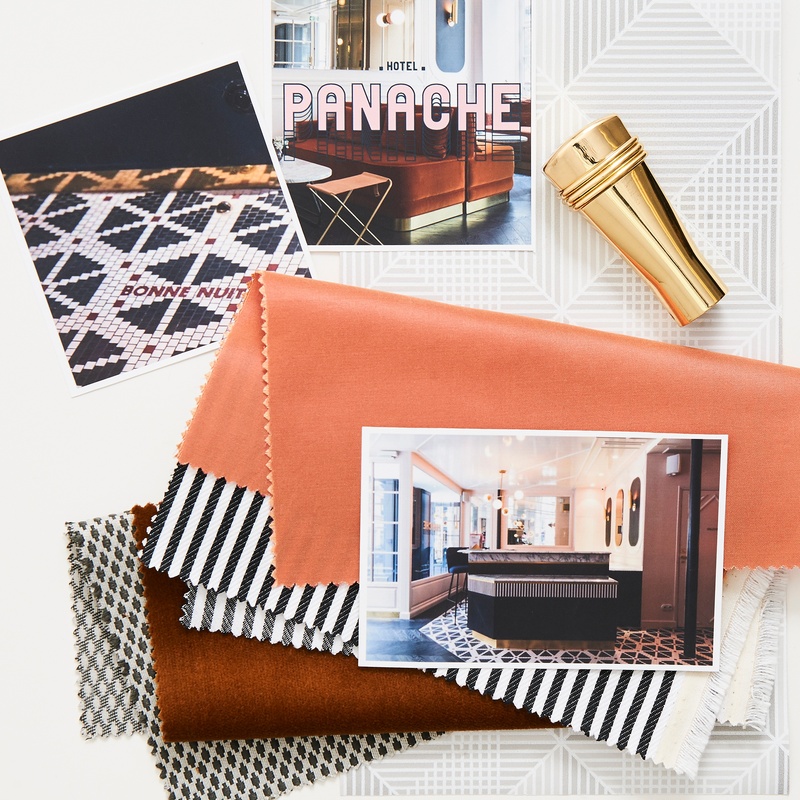 It's one of her favorite ways to interject personality into any creative project and that’s why we asked Rachel to share her insights on how to make a big splash and a dramatic statement with upholstery. Maybe it's that extra element of commitment; upholstery in a bold pattern indicates a certain fearlessness and even whimsy. 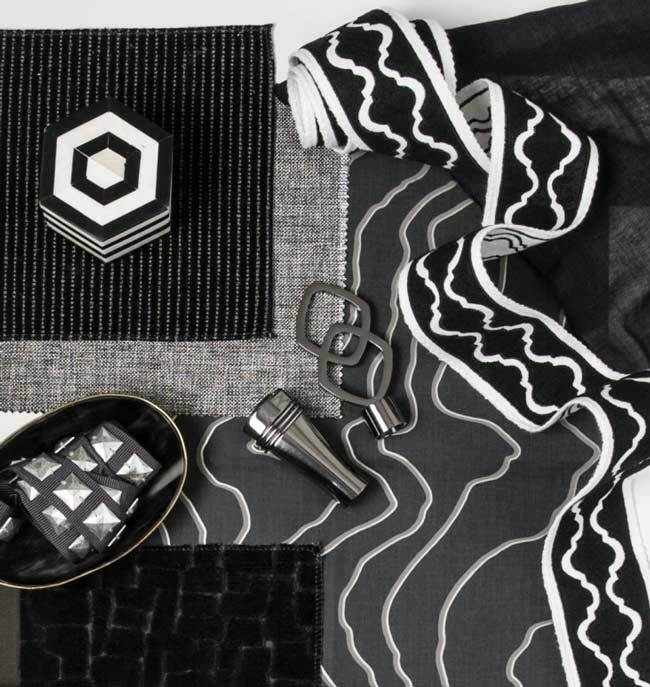 But no matter the style, there's a way to integrate pattern into your client's home, whether it be through a large scale showstopper or something smaller and more subtle. And of course, it's the perfect jumping-off point to inform the rest of the room's color palette and design direction. 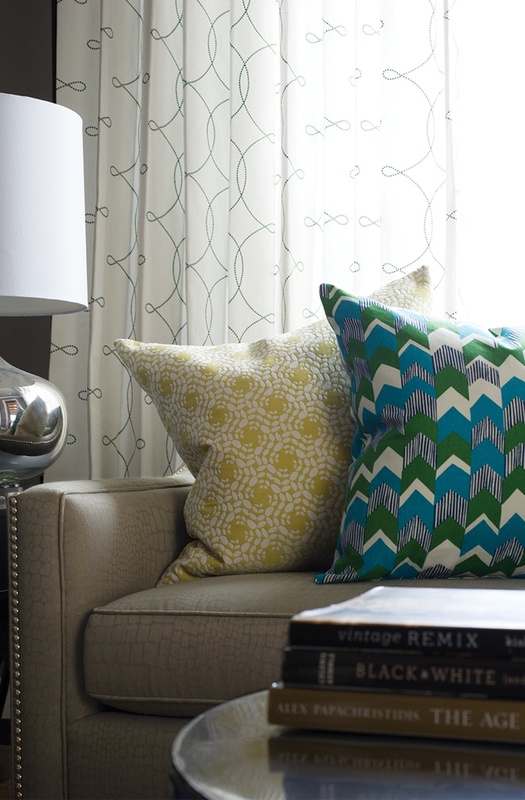 In our home, we used Dana Gibson Crypton Home for Stroheim’s Jaipur in Cobalt to reupholster a Lee Industries sofa. It's without a doubt the centerpiece of our formal living room and it reminds me of the Blue Danube china that my mother always used for special occasions when I was growing up. It's an intensely personal connection for me, and one that pairs beautifully (albeit boldly!) with our custom-hued aqua walls. A sisal rug grounds our living room and provides a little bit of visual gravity for the busyness of the upholstery. 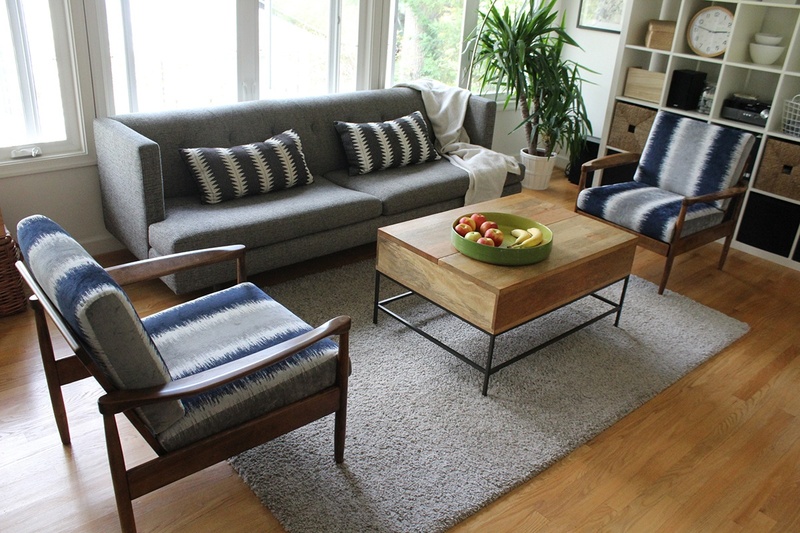 But I also didn't shy away from using other patterns to compliment the main body of the sofa. A small scale shagreen-inspired pillow by Jana Bek blends in seamlessly, and the stripe pillows offer a little bit of nautical cheekiness. 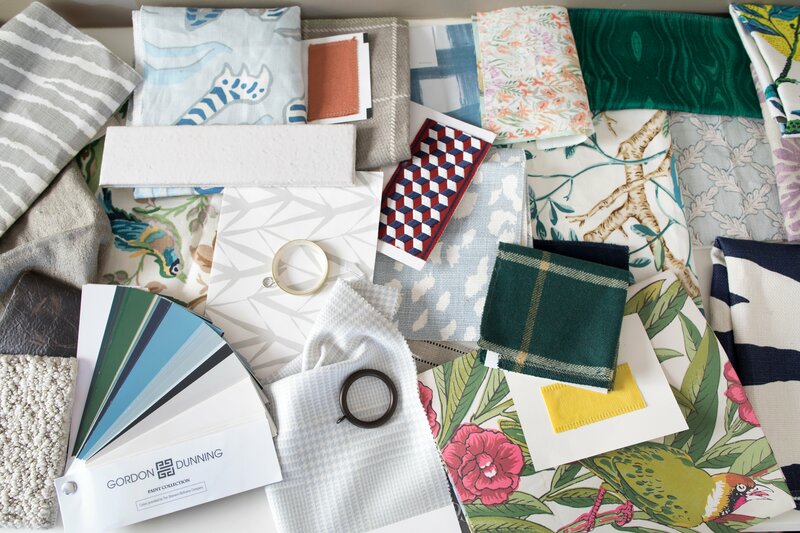 Regardless of the pattern you choose, take the opportunity to give your eye a break by pairing your print with plenty of solids and neutrals and consider the overall tone you'd like the room to set. I've pulled together a few different mood boards to jumpstart your inspiration. Each has a very distinctive style, personality and color palette; I'd love to hear which one is your favorite! I'm utterly obsessed with this sketch-like print from S. Harris: Honovi in Onyx Pearl. 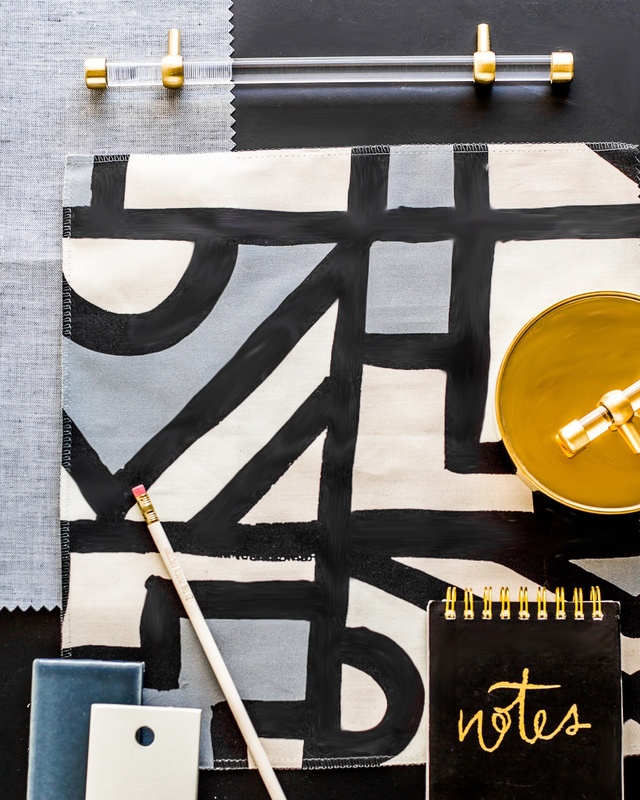 With a more painterly nod to Mondrian, its artistic lines conjure up scenes from Parisian ateliers. I'd love to see it used in a very traditional setting, just to give the entire room a more interesting and contrasting spin. This particular scheme has a strong masculine undertone and could also be softened with some natural accents. This is absolutely a print that doesn't play by the rules, don't you think? Consider adding in some pops of accent colors like a bright mustard or a metallic brass whether through throw pillows or accessories in the room. It's a perfect combination as orange and blue are complementary colors. Whether you see a pale grey or light blue in the main fabric body, it still reads as a cool tone which is delightful against a bold warm tone like yellow or orange. 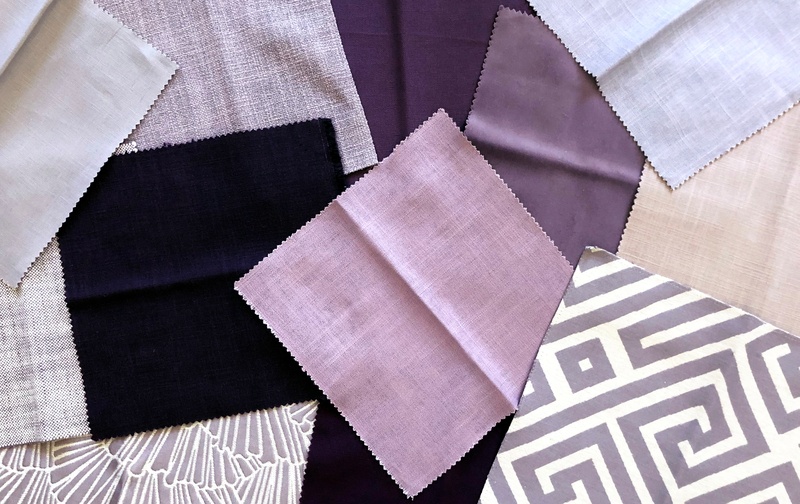 These beautiful and artistic fabrics have been enormously popular the past few seasons, and it's so easy to integrate this color palette into your home. Blue and white is a classic combination and can be casual or dressy depending on how you style it. I've shown it here in a more nautical sense by grounding it with a blue and ecru striped rug but it could easily be swapped out for a sisal or jute option. 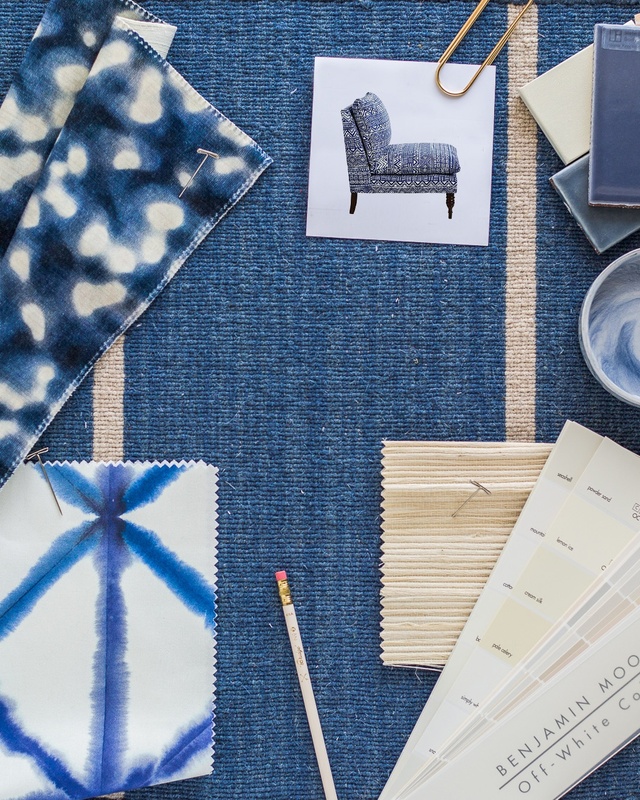 The pile on the S. Harris fabric on the top left (Sol in Blue Skies) is so luxuriously soft and overall it adds a certain level of casual sophistication that's somewhat unexpected. For this particular vignette, I imagine it upholstered on something more linear to offset the organic feel of the fabric's print. 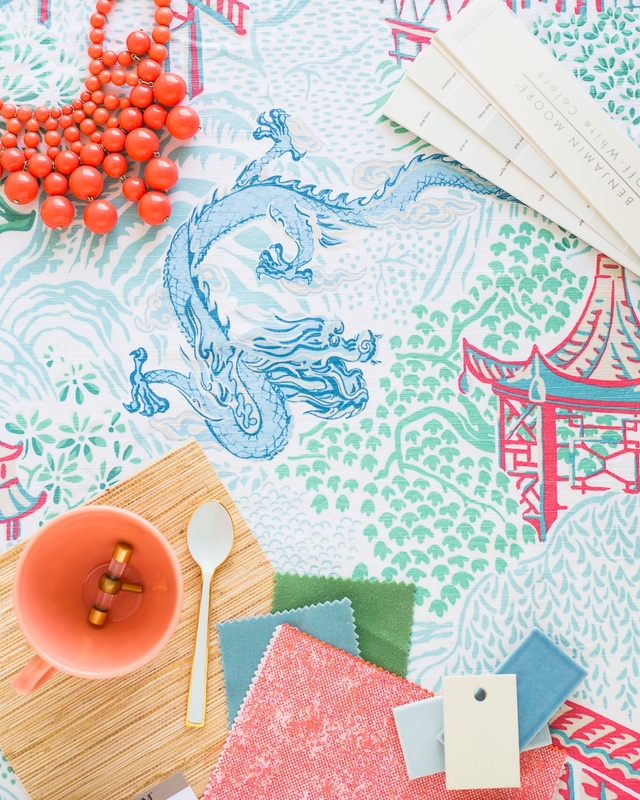 This beautiful Chinoiserie-inspired Vern Yip for Trend fabric (04225 in Aqua Garden) has so many great colors to play with and is the perfect foil for a natural grasscloth wallcovering or plenty of rattan pieces integrated into the space. I'd love to see this fabric on a pair of upholstered chairs with a solid covered sofa in one of the hues shown. Toss in a few solid throw pillows in an interesting texture to mix it up a bit and cap it off with some pretty drapes with lucite hardware for that extra bit of style. Finally, don't be afraid to commit to a bold piece of upholstery, even if it's just a single occasional chair. 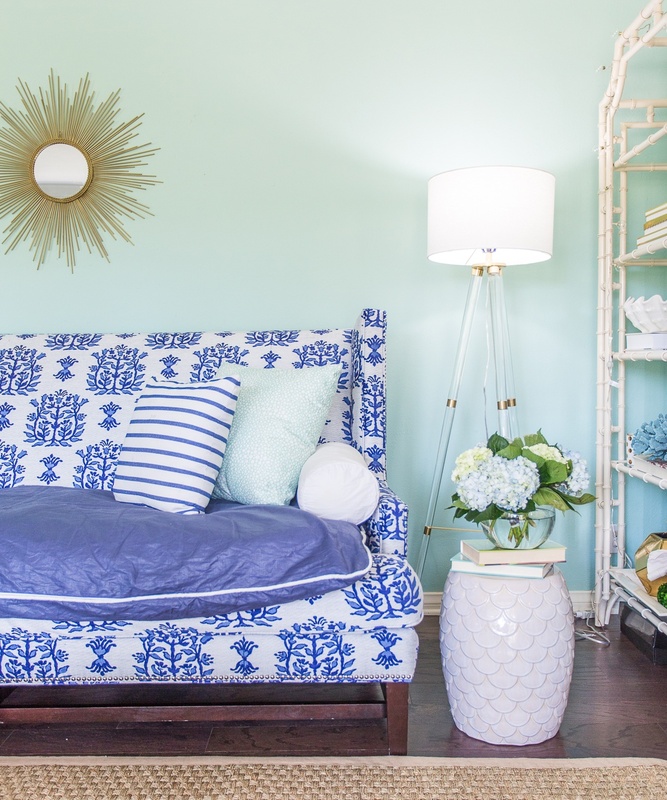 Every room needs something that sings and it's a great way to reveal your personal style. Happy designing! 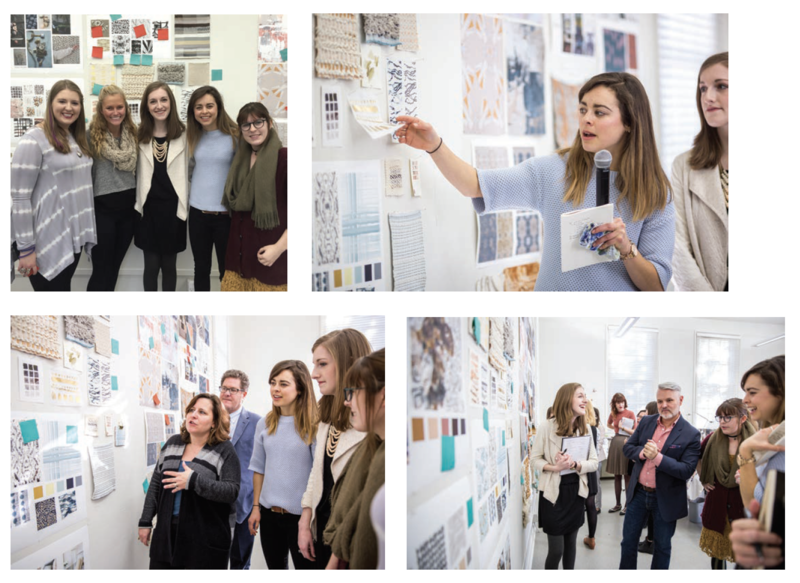 Rachel Shingleton is a designer at Pencil Shavings Studio and is a guest blogger for Fabricut. 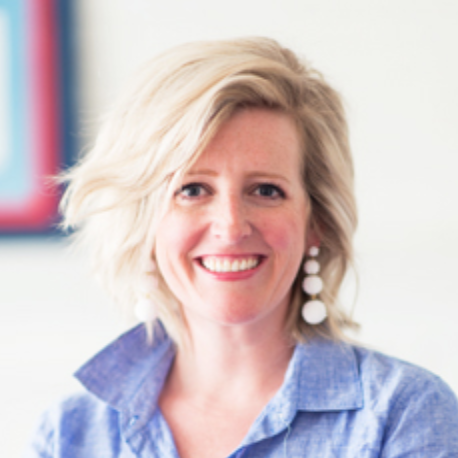 I'm Rachel Shingleton, blogger and designer at Pencil Shavings Studio. 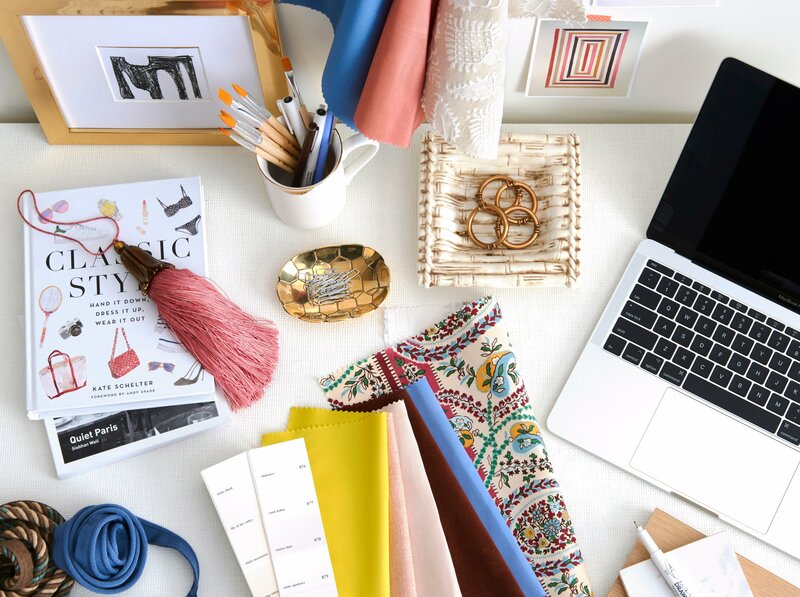 I split my time blogging about fashion, life, and interiors and keeping shop where I design pillows, trays, paper goods and tech accessories. My colorful & whimsical products have caught the eye of numerous publications and national retailers including capsule collections with The Limited and Nordstrom. We've had our home featured at Better Homes & Gardens, and have also had PSS products featured in HGTV magazine, Southern Living, Real Simple, and more.